There are so many aspects to Sri Aurobindo’s thought and vision that the arrival of new books inspired by his work in various fields is not uncommon. Our previous issue offered a look at Sri Aurobindo’s mastery of poetic technique and feeling in two new volumes of Nirodbaran’s poems with Sri Aurobindo’s comments and corrections. 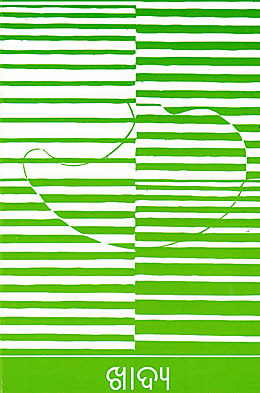 The six English publications introduced below are a representative sample of the breadth and range of his work in other areas and its influence and impact on how we see and understand our world. Essays on Sri Aurobindo is a collection of eleven papers published by the Centre for Sri Aurobindo Studies at Jadavpur University. These include discussions on metaphysics and philosophy, especially in The Life Divine, Sri Aurobindo’s concept of spiritual humanism, a critical appreciation of Sri Aurobindo’s political philosophy, a perspective on interpersonal relations and understanding oneself as part of a collective existence, and a study of how Sri Aurobindo’s involvement in education during his stay in Baroda helped shape his approach to a national system of education for India. In Srimad Bhagavatam: At Each Step a Luminous World, the author draws on Sri Aurobindo’s interpretation of the significance of the Puranas. For her study into how these ancient writings have inspired Indian life, literature, and culture, she has chosen the Bhagavata Purana, and she follows the thread of its central idea, which was to lead us from Ignorance towards the contemplation of the Supreme, in her choice of legends. Sri Aurobindo had praised Puranic literature and regretted the tendency to misunderstand its purpose, method and sense. He said that one must understand the nature of the Indian religious imagination at that time to appreciate that these writings are “only a new form and extension of the truth of the ancient spirituality and philosophy and socio-religious culture”. The process of the Vedic mantra involves three movements, corresponding to three psychological activities necessary to the act of meditation or realisation, a movement from soul into mind, a movement from mind into speech, and the movement of speech itself reacting on mind and soul. Prajnana is the consciousness that cognizes all things as objects confronting its observation; in the divine mind it is knowledge regarding things as their source, possessor and witness. 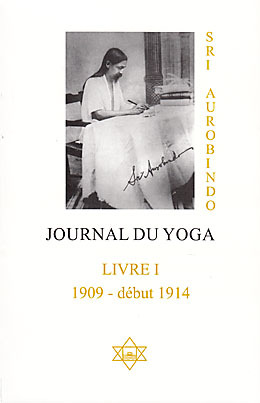 Sri Aurobindo: His Life and Yoga is the English translation of a Bengali biography of Sri Aurobindo written in 1939. 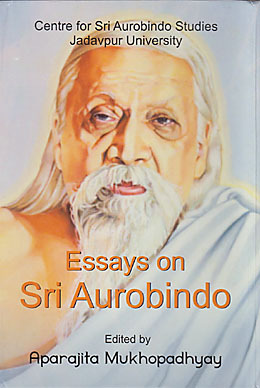 While it covers in detail his preparation for and participation in a political life aimed at converting the Indian populace to the idea of complete swaraj, its author is also keen to present the basis of Sri Aurobindo’s spiritual work to his countrymen, many of whom did not understand why Sri Aurobindo had retired from politics. To that end, eight chapters are given over to an explanation of Sri Aurobindo’s vision and his path of Integral Yoga. In 1952 a revised Bengali edition was published that included an epilogue written after Sri Aurobindo’s passing. Drawing on many of the precepts of Sri Aurobindo’s Integral Yoga, Excellence in Professional Work: A Consciousness Approach suggests how the inner faculties in our consciousness can be developed to encourage excellence in the workplace. The author outlines strategies and exercises which managers as well as individual workers could implement to improve such inner faculties as concentration, mindfulness, imagination, intuition, and analytic, pragmatic, and emotional intelligence. 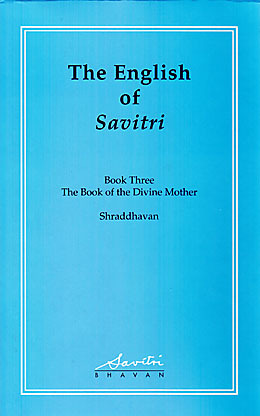 Lastly, there is the second volume of The English of Savitri. 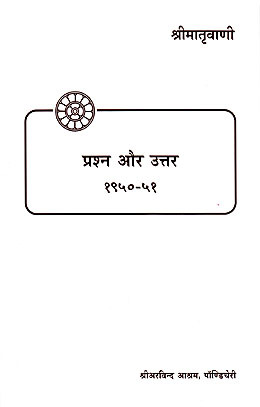 Like the first volume, this book is also based on transcripts of classes held at Savitri Bhavan that focussed on gaining a basic understanding of the more unusual vocabulary words as well as the sentence structure and imagery in the poem. This volume covers the four cantos of Book Three, The Book of the Divine Mother. 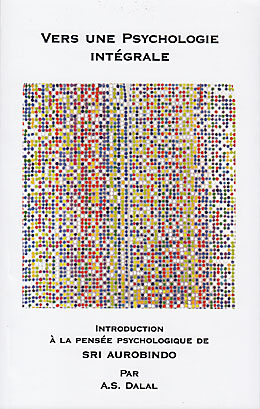 To provide some continuity from the previous volume, in which Book One was studied, a brief summary of Book Two is provided before the detailed study of Book Three begins. In an effort to present some aspects of Sri Aurobindo's integral philosophy and vision for the future, the Centre for Sri Aurobindo Studies at Jadavpur University has collected eleven papers on various subjects. 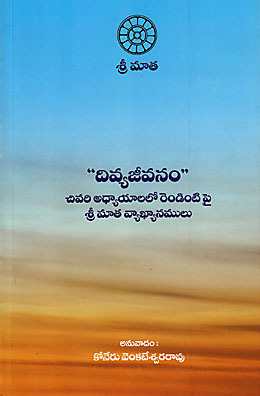 These include a look at Sri Aurobindo's theory of the evolution of consciousness, a comparison between the standpoints of quantum mechanics and spiritual experience as to the creation of the world, essays on The Life Divine, and a study of Sri Aurobindo's aesthetics as expressed in Savitri. Other essays provide an analysis of the philosophical similarities between Sri Aurobindo and Heraclitus, a critical appreciation of Sri Aurobindo's political theory, and a look at his seminal thoughts on education. Drawing on Sri Aurobindo's interpretation of the significance of the Puranas, the author wrote a series of articles on the Bhagavata Purana that was originally published serially in the journal Mother India. Taking up the legends in this most popular of the Puranas, she looks at the way they have inspired Indian philosophy, literature, and culture, making the ancient spiritual truths of the rishis appealing to the mind of a whole people. Varaha, Vamana-Trivikrama, Rishabha, and Rama, four incarnations of Vishnu, are studied in separate sections; five chapters are devoted to Krishna. The stories of several devotees (the child Dhruva, the sinner Ajamila, the rakshasa Prahlad, the elephant Gajendra, and King Ambarisha) are included to illustrate how each individual can attain the Divine. Beginning with Aditi and ending with Yuga this glossary of Vedic terms, symbols, and concepts has been compiled from the works of Sri Aurobindo, drawn primarily from The Secret of the Veda and Hymns to the Mystic Fire. Some entries contain multiple extracts; some quote just a line or two, others a full paragraph. Sri Aurobindo considered the Veda not only to be the fount of Indian civilisation but also seminal to the world's spirituality, to its various religions, to the development of its thought. This book is the English translation of the Bengali biography Sri Aurobindo: Jeebon O Jog written in 1939. The author explained that he undertook this work to give an indication of Sri Aurobindo's spiritual stature, because at the time many of his countrymen did not undertand why Sri Aurobindo had retired from politics and immersed himself in sadhana at Pondicherry. 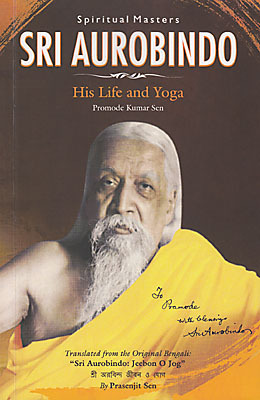 The author hoped his readers would become aware that through the Integral Yoga lay the path to man's highest realisations, and to that end devoted eight chapters to an exposition of Sri Aurobindo's thought. 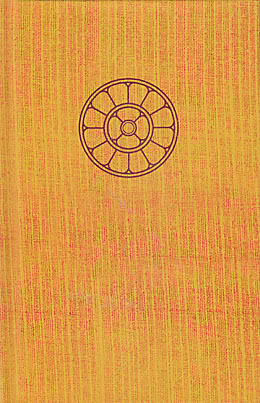 A revised edition, published in 1952, included additional material written after the conclusion of World War II and an epilogue written after Sri Aurobindo's passing. 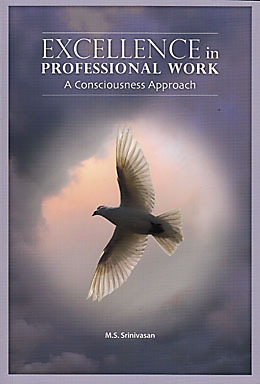 Based on the premise that excellence in professional work is the external result of the effective use of inner faculties in our consciousness, this book attempts a practical approach to developing these inner abilities. The strategies and methods outlined here can be practised individually or applied to a collective endeavour. 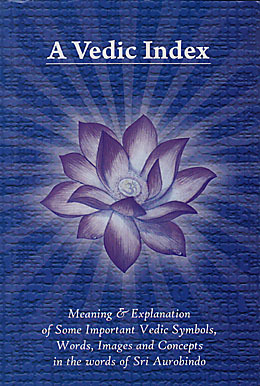 Drawing on many of the precepts of the Integral Yoga, the author discusses such inner faculties as concentration, mindfulness, analytical intelligence, pragmatic intelligence, emotional intelligence, will and vital-force, imagination, and intuition, and suggests how they can be developed to improve workplace performance. 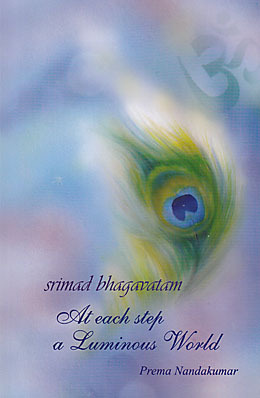 Like the first book in this series, this one is also based on transcripts of classes held at Savitri Bhavan. 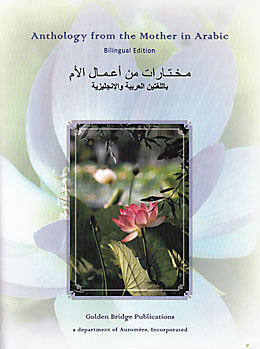 The author's aim in those classes was to read the poetry as correctly as possible, according to the natural rhythms of English speech, to gain a basic understanding of the vocabulary, sentence structure, and imagery used by Sri Aurobindo, and thereby gain a better understanding and appreciation of the poem. This volume covers the four cantos of Book Three, The Book of the Divine Mother. As the previous volume covered Book One and this one resumes with Book Three, a brief summary of Book Two is given in an introductory section to provide some continuity to the series. Cette anthologie des textes de Sri Aurobindo traite de la psychologie dans le sens le plus large du terme : la découverte de notre vrai moi, dans toutes ses dimensions, individuelles et collectives, car c'est la base d'une psychologie spirituelle intégrale. Pour Sri Aurobindo, la vraie psychologie est une recherche de la "psyché", de l'âme en nous, car c'est autour de ce centre profond que nous pouvons harmoniser et unir toutes les parties souvent discordantes de notre être. Ce n'est pas dans le subconscient que se trouve la clef qui nous permettra de résoudre l'"énigme de ce monde", mais dans le supraconscient. Ce livre trace les grandes étapes de cette évolution de la conscience et la transformation de notre nature qu'elle implique. Les textes réunis dans ce recueil sont présentés et commentés par A. S. Dalal, à qui l'on doit d'excellentes anthologies des oeuvres de la Mère et de Sri Aurobindo, notamment Les Forces cachées de la vie, Le Regard intérieur, Paroles vivantes et L'Etre psychique. Le lecteur trouvera dans ce glossaire provisoire l'explication des termes spéciaux employés par Sri Aurobindo dans son Journal du Yoga. Negli anni dal 1923 al 1926 e dal 1938 al 1943 un ristretto gruppo di discepoli aveva avuto la possibilità di incontrare la sera Sri Aurobindo e discorrere con lui dei più svariati argomenti, in un clima sempre disteso e amichevole, sovente intercalato da fragorose risate per l'immancabile vena umoristica del Maestro. Un discepolo, Purani, aveva poi trascritto il contenuto di quegli incontri, riportando il più fedelmente possibile le parole del suo Guru. Ne è risultata una straordinaria raccolta del pensiero di Sri Aurobindo in campi che vanno dalla pratica del suo yoga, alla spiritualità, la politica, l'arte, la filosofia, la scienza, la medicina ecc., e della sua azione come Yogi, arrivando a influenzare gli stessi avvenimenti mondiali. 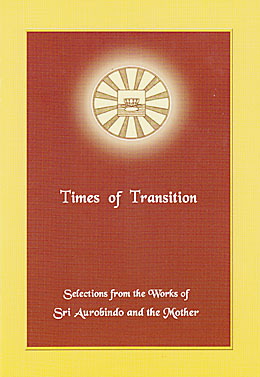 This book contains conversations of the Mother with members of the Sri Aurobindo Ashram and the students of the Ashram's school. For most of this period the Mother answered questions about some of her essays on education and her conversations of 1929, which deal with various aspects of spiritual life. Towards the end she discussed some letters of Sri Aurobindo and his small book The Mother. Oriya translation of the booklet Food, a compilation of simple passages from the works of Sri Aurobindo and the Mother with a practical orientation on the subject. The Mother commented on two of the last chapters of The Life Divine during her weekly classes at the Ashram Playground in the 1950s. After reading from the text, the Mother would answer any questions raised by those present. In these commentaries she speaks about Sri Aurobindo's vision of the future—the evolution of a spiritualised humanity leading to a divine life on earth.